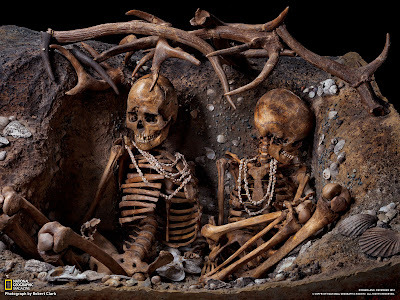 As you can see, these two ladies were buried with deer antlers, shells of various kinds, and jewelry. By looking at all these things, researchers can make good guesses about what the lives of these ancient people were like. Anthropologists have long speculated about how Europe went from a hunter-gatherer culture to a farming-herding culture, which is what characterizes the Neolithic (late Stone Age) period, when people made lots of progress in manufacturing tools and so on. 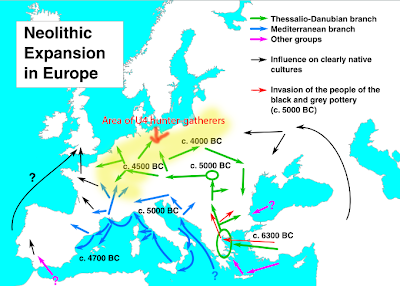 They came up from the south and spread all over Europe, eventually. The yellow area is where we were. 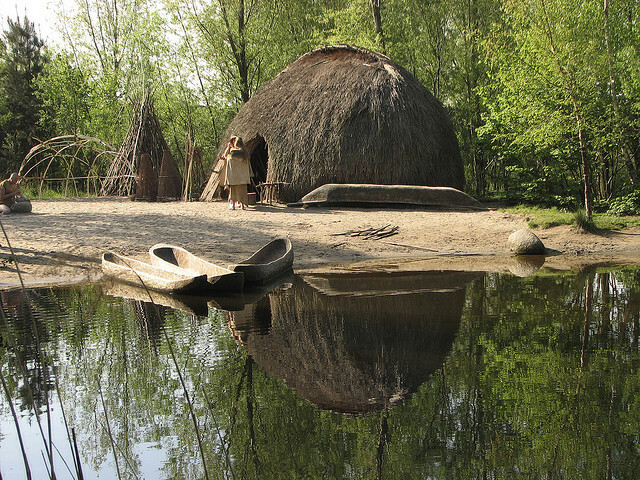 Did the hunter-gatherers learn from the farmers to plant seeds and domesticate animals? 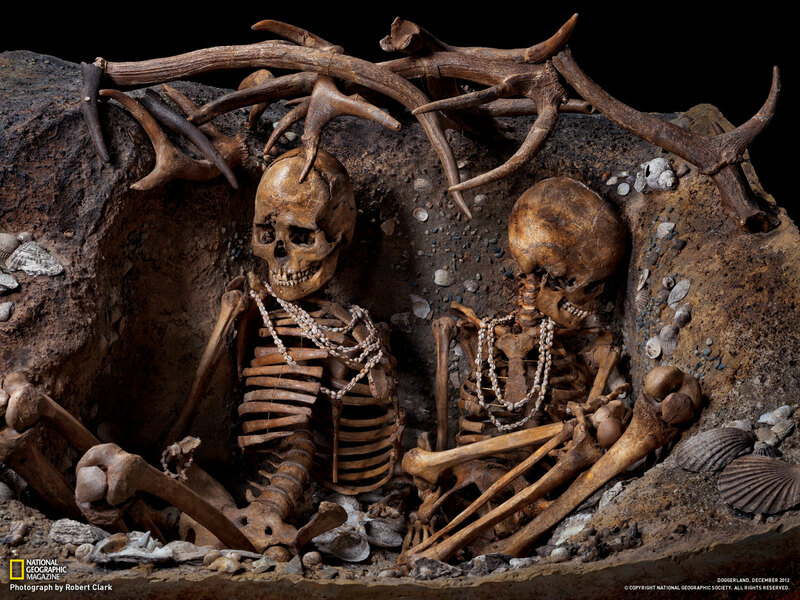 Did they intermingle and mix their DNA together, leading the hunter-gatherers to eventually die out? 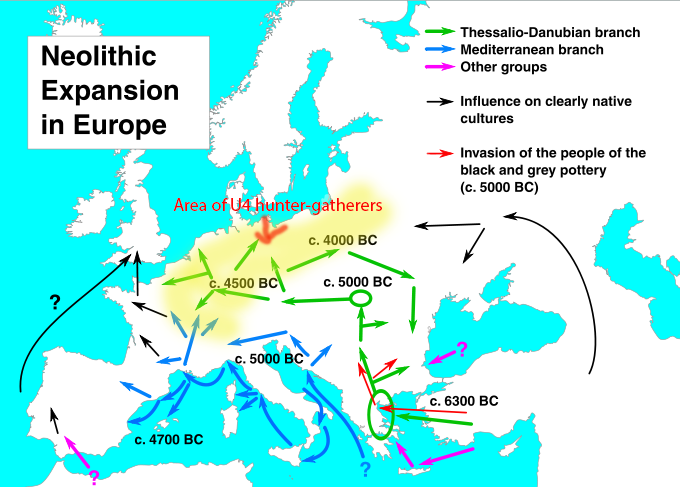 Well, the DNA analysis of different populations has shown that for many years they simply existed side-by-side, without much intermingling, and over time the hunter-gatherers became fewer and the farmers more successful, taking over more and more land over time. 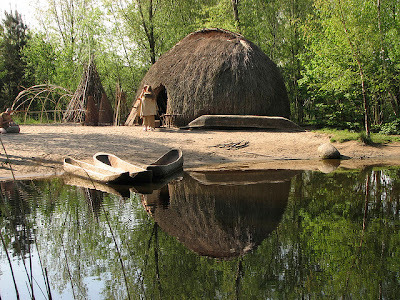 But the hunter-gatherer way of life did not disappear completely -- in places in Northeastern Europe where farming was impractical, hunter-gatherers continued their way of life into the Middle Ages.